Pay Scale: Rs. 9300-34800 + Grade Pay Rs. 3600. 2. Informatics Assistant (Suchana Sahayak) = 101 PostPay Scale: Rs. 5200-20200 + Grade Pay Rs. 2800. Qualification: B.tech/ B.E. or Diploma in Engineering or Certificate in computer related branches. + typing speed + knowledge of hindi and rajasthani culture. Age: 21-35 years, relaxation as per govt. of rajasthan norms. 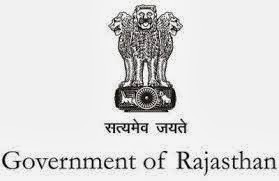 How to Apply: Eligible candidates should go through details Notification and apply as per instruction issued on notification and apply online through http://rajdlsg.org/ from on or before 21st October 2013.